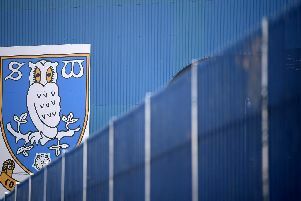 Sheffield Wednesday forwards Fernando Forestieri and Marco Matias have been ruled out of the Owls' next two Championship fixtures, including next week's Steel City derby against Sheffield United. Speaking at his press briefing this lunchtime, Wednesday manager Jos Luhukay confirmed Forestieri and Matias (both hamstring) will miss the Norwich City and United clashes. Forestieri suffered his knock in the Owls' 2-1 triumph at Bristol City last month while Matias has not featured since Aston Villa on September 22. The pair have scored three goals apiece this season. After hosting fourth-placed Norwich City tomorrow, Luhukay’s side head to Bramall Lane a week today. On Forestieri's recovery from injury, Luhukay said: "It is not possible that Fernando (can) play against Sheffield United. "First we must hope that he comes back to the team training but he has not been on the training field for a couple of weeks." Matias has been given the all clear to take part in full training today, according to Luhukay. The Dutchman added: "Both players will hopefully after the international break be very close to playing for the team." Luhukay, whose team will be looking to avoid a fourth straight league defeat when they take on Norwich, also indicated that Gary Hooper underwent groin surgery in London yesterday. "The diagnosis is that he will not be available for us for the next eight weeks," he said. "But the surgery was positive so we hope that in the next two months he comes back to the team training and then we will see. "I think for Gary himself it is very important to come back to the team and hopefully he can help us in the later stages."